Rev. 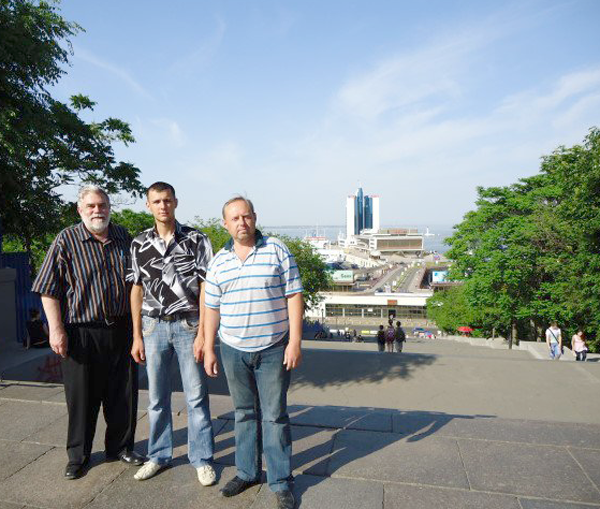 Dimitroff and students Dima and Yuri stand at the top of the 192 steps leading to the Black Sea. It was an ominous day for anyone to arrive inUkraine—25 years to the day of the Chernobyl meltdown. Students were still on their Easter break, so I had a few days to acquaint myself with the historic city of Odessa and its magnificent public squares, opera house and stately tree-lined boulevards leading down to the Black Sea. One of the first places to visit: the famous Potemkin Steps, right at the edge of the sea. This staircase of 192 steps became famous in Soviet film director Sergei Eisenstein’s 1925 classic, Battleship Potemkin (the baby-carriage scene). A quick descent and no-so-speedy return up the wide granite steps left me panting for breath! But this was not a tourist visit. 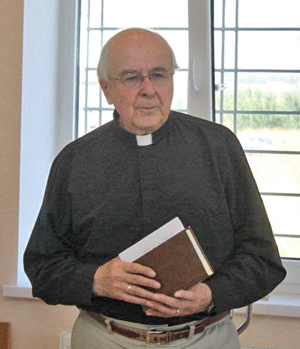 The purpose of my five-week absence from my congregation at Grace (Saskatoon) was to share Lutheran doctrinal teaching, in the Russian language, with future pastors here in Odessa. 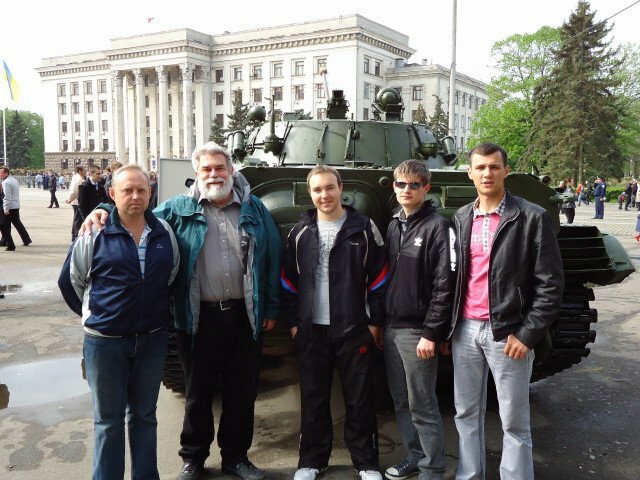 I asked the students for permission to include some of their personal information so the readers of LCC On the Road might become better acquainted with the current crop of Ukrainian seminarians. The students now number six, ranging in age from Dima (43) to “Little Sasha” (18). 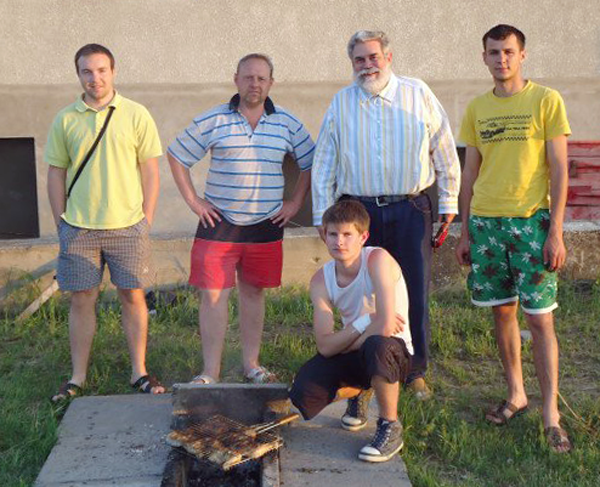 In background they vary from Valera, 34 (a college grad with technical and entrepreneurial experience in the large northern city of Dnepropetrovsk) to Yuri, 26, who began preaching as a youngster in the church his father pastors in a small Ukraine village. Sergei, 24, graduated from the Dnepropetrovsk State Finance Academy where he majored in Human Resources and Economics. “Big Sasha” served in the Army reserve as a competitive rifle marksman for a number of years. He now does some part-time work as a refrigeration mechanic. Dima, a native of Moldava, worked for 15 years in a deep-freezer assembly factory. The one thing that unites all the men is their love for Jesus Christ and their call to serve Him in pastoral ministry. Not all the students were born into Lutheran families. Yuri writes that Christian faith was once absent from his family. 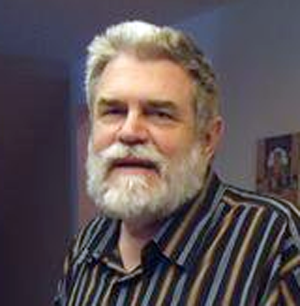 Some years ago, however, the Lord brought his father to faith and, later, to Lutheran pastoral ministry. His mother teaches Sunday school and now Yuri himself has enrolled as a second-generation pastor-to-be. Little Sasha’s father also serves as a village Lutheran pastor. Another student comes from a Ukrainian Baptist background, until his confirmation into the Lutheran Church here some years ago. The students will need to look for employment when seminary adjourns for the summer. Many students have families and need to budget carefully to make their study possible in Odessa. 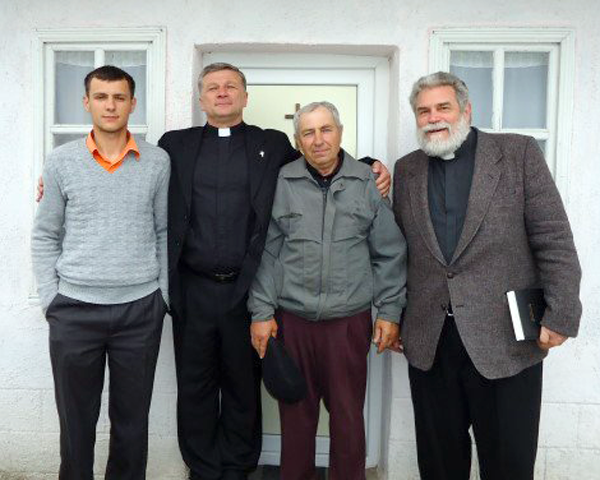 This little flock of the Synod of Evangelical Lutheran Churches in Ukraine (SELCU) may be small but it is mighty. With each graduating class more pastoral servants go to work in the Lord’s fields, which, He tells us, are white for the harvest—a particularly apt image in this agricultural country of broad wheat fields. During the academic year the students do their seminary fieldwork at the hundred-year-old St. Paul’s Lutheran Church in downtown Odessa. These duties range from leading Bible study to Sunday morning preaching. This seminary class is smart and quick to learn. One of the joys I counted during my stay was the shared meals with the students. Since this is Ukraine, the conversation was lively, punctuated with lots of humour and bursts of laughter. The greatest contrast with Russia (where I served previously as Missionary Counsellor for seven years) is the young people’s outlook. Ukraine is by far more carefree and inventive in language. Unlike their peers in Russia, these students are unself-conscious. They will share their honest thoughts about almost any topic that reflects on Christian morals and faith. Some visitors to Russia note that nation’s tendency to “national melancholy.” Nothing like that shows up in Ukraine. Here, the talk is always upbeat, forward-looking and full of fun. Then there is the influence of the countryside that is so strong in Ukraine. Yesterday I happened to hear a cuckoo sing for the first time this spring. It’s hard to imagine such an event in heavily urbanized European Russia.Ukraine values its ties to the earth, the vast wheat fields, the beautiful forests and salt marshes. Each natural beauty witnesses to the glory of God and the splendid work He is doing among the students at Odessa seminary. I count it a true privilege to have shared with the students a few weeks of their seminary lives, and will remember them all in continuing prayer for their well-being. Rev. 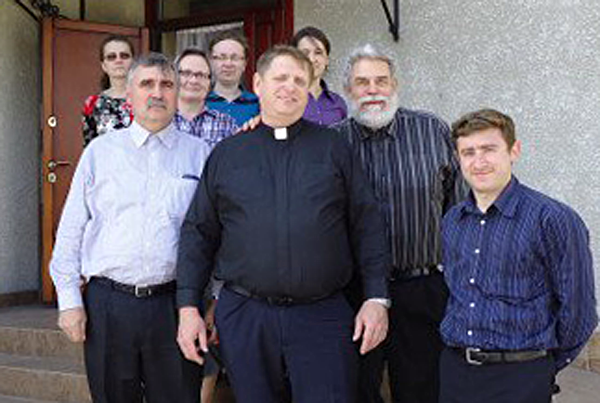 Dr. James Dimitroff returned to his parish, Grace Lutheran Church, Saskatoon in early June after spending five weeks teaching seminary students in Odessa. Support for this project comes from Concordia Lutheran Mission Society.